Desk top magnification lamp, 5x dioptode. 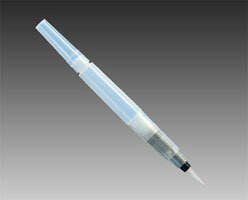 SKU-38551 ******* NEW ******* Handy Pocket Sized Brush Tip Flux Applicator. Fill this convenient applicator pen with bulk purchased flux for a cost effective and truly convenient way to prepare solder joints for soldering. 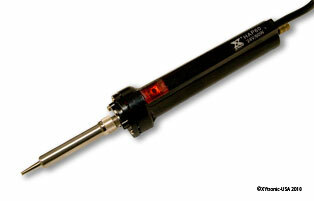 Xytronic HAP80 32v 80w Lead Free Replacement Hot Air Pencil For the LF Series Stations. 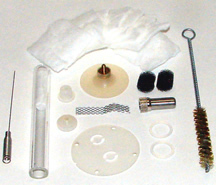 PRKIT XYtronic 44-MAKIT Is A Maintenance & Repair Kit For The DIA Series Desoldering Irons and old 2008. 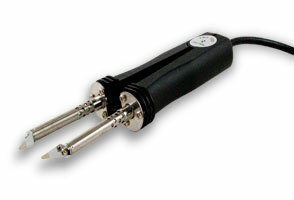 XY-TWZ50 Thermal Tweezer for XYtronic Soldering Stations XY960A and XY960D. "Close Out Special" Limited Quantities. 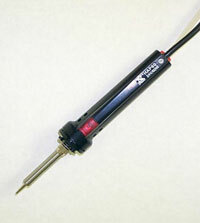 Xytronic TWZ50, 24V Optional SMD Tweezers for Stations - 5 pin for Xytronic Models XY960A,XY960D and 988/D. XY-TWZ80 32v 80w SMD/SMT Tweezer Attachments For The LF-1680 and LF-1600 Soldering Stations. Ships with standard 46-060102 (2mm) preloaded tip. XY-TWZ90 32v 90w SMD/SMT Optional Tweezer Attachments For The LF-8800 Soldering Stations. Ships with standard 46-060102 (2mm) tip preloaded. XY-TWZ100 32v 100w SMD/SMT Tweezer Attachment for The LF-853D station.